If you have small children, it is important that you choose an automatic opener with safety features. Contact our company for professional garage door services including repair, installation, maintenance and replacement. We respond fast and offer same day services in emergencies. Be it for a broken torsion spring or new opener installation, expect nothing short of the best services in California. Overhead garage door repair and maintenance to suit all business and home needs. 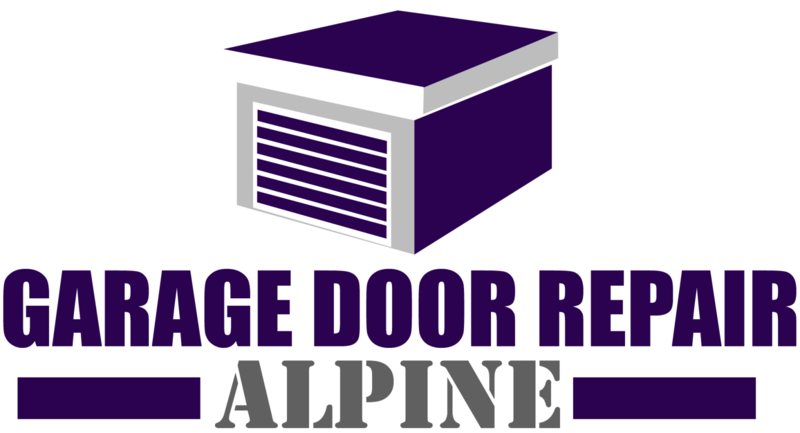 We at "Garage Door Repair Alpine" have been providing professional garage door repair services and solutions to our local customers for many years now. We will replace your broken springs, aligned your tracks, fix your opener or install a new one. Your satisfaction is our goal, and so our job is not done until your door is working like new. You can take care of your garage door as well by lubricating the moving parts and making sure it is kept clean. You must keep in mind, though, that you cannot engage in any other repair or replacement because you might hurt yourself badly. In fact, there are many reports of people who had been seriously injured by attempting to replace their springs on their own. Our technicians have the experience and the knowhow to make any necessary repairs, replacements and installations. They will install the proper springs on your door depending on its weight and they will make sure they work properly. Usually torsion springs are more appropriate for heavy doors while extension springs are proper for lighter doors. The springs must work perfectly and in combination with the opener, which is equally important to the entire garage door system. The most prominent companies – such as Liftmaster, Chamberlain, Genie, Sears and Marantec – can deliver the most excellent openers. All openers operate with a drive, which you can choose according on how much you want to spend and if you can stand loud noises or not. People usually choose the chain drive, which is the simplest and most inexpensive, though it is very loud. The screw drive makes less noise but costs a bit more and the best one is the belt drive because it is fast and quiet but expensive. Of course if you have an opener you must probably have a remote control as well. Today, remotes are necessary assets because they allow you to control the operation of your garage door from the safety of your own car. You don’t have to step out in the dark or in the bad weather anymore and risk your life just to open your garage door. In fact, manufacturers have introduced great and technologically advanced new models, which allow you to enter into your garage faster or open multiple garage doors at once. The latest development, which enhances your safety, is the rolling code technology that changes the inner code every time you enter your home. This way, your secret code can never be traced or copied by potential intruders. You must keep your annual Maintenance and Adjustments appointments if you want your garage door to work properly. Our technicians will inspect your garage door for any damages, they will repair possible breaks, and they will tighten the screws and lubricate the moving parts. Garage Door Sensors must be installed in every garage door. If you do not have a photo-eye infrared sensor installed in your garage door contact Garage Door Repair Alpine today. This is the safest way to prevent accidents but you need to make sure that you will not neglect its regular maintenance by professional technicians. Actually, the sensor can prevent something or someone from being crushed beneath the garage door. Highly skilled garage door operators available 24/7. Our technicians will engage in any garage door replacement and installation service. If it’s time to get a new garage door our expert team will tell you what your options are and explain you the differences as well as the pros and the cons between the wooden, the steel, the aluminum and the glass garage doors helping you make up your mind. They will install your garage door and even place a window if you prefer a modern touch. As an overall, Garage Door Repair Alpine can provide you with the most excellent garage door services, which include any kind of garage door repair: cable or track repair, broken spring repair, Genie opener repair, broken emergency release repair or any other garage door repair. They will make sure your cables and tracks are in a good shape otherwise your garage door operation will be nearly impossible. When people buy an electric operator for their overhead door, they usually focus on the big brands such as Craftsman. If you own a Craftsman garage door opener, you have to provide regular maintenance. The chain drive units of the brand require special care. The chain has to be cleaned and lubricated as well. Belts simply have to be cleaned. Inspection for damage is essential. A thorough check covers not only the hardware parts and the motor unit of the system, but also the wiring, the safety sensors, the remotes and the battery backup, if any. In case the device is equipped with AssureLink technology for operation via a smartphone app, the app has to be updated as soon as the prompt for this appears. For professional opener maintenance, you can hire our garage door company. Count on us to repair the opener in case of damage and malfunction.